2017 best digital cameras review from DSLRs to compact pocket-friendly gear. From the hefty Nikon D850 DSLR super heavyweight and the Canon EOS 5D Mark IV to the elegant Fujifilm T-X2 and the SONY Alpha A9, how do these cameras stack up? THESE DAYS cameras come with so much gear and heft that even a pint-size compact may require a wheelbarrow to cart around all the other stuff you acquire along the way as a must-have. What this means is that power, excellence, quality and function are all relative. And at the end of the day you're likely to hit all the filters on your iPhone app or Snapseed, Photoshop or Affinity software to turn an 8 megapixel ho-hum capture into a vivid and engaging professional picture. So let's just look at some of the best digital cameras in 2017 (including a few old stalwarts) with a broad range of appeal from compact cameras to pocket marvels with flip-out LCD selfie screens and WiFi capability and professional DSLR cameras that feel reassuringly weighty in the hand with rubber grips and metal housing. As a kid I grew up snapping pictures of mangy stray dogs on a Kodak Brownie and my father’s Russian Zorki – more a tank than a camera – in between conducting unproductive pin-hole experiments at home. The dogs were the only subjects that did not run away and, while they earned few plaudits for prettiness, they held their ground while eyeing my ubiquitous lens sheepishly long enough for me to work out the f-stop and shutter speed. The Olympus OM1 camera then, that landed in my grubby hands as I commenced my first job as a crime reporter on a daily newspaper in New Delhi, was a delicate Fay Wray in the beastly palm of Kong, a miniature, mysterious marvel, simultaneously loved and tormented. It was a superb performer. With a full frame 46MP sensor to catch even more light, the Nikon D850 is a versatile muscle performer that delivers what it says. Expect 7fps (frames per second) shooting, a 153-point top-of-class autofocus system, good battery life, and cery good 4k video. A 3.2-inch tilting touch screen makes it possible to get under subjects and pick unusual angles for your subjects while an expanded optical viewfinder enables better framing and shooting although this came at the exoense of the built-in flash that had to go. So you'll need an external flash. The camera is comfortable at all ISO speeds with remarkable clarity and minimum pixilation from 32 to 102,400, saving files in Jpeg, TIFF and RAW formats. 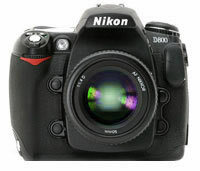 The Nikon D800 arrived late 2012 with enough heft to poleaxe a bear and while it is showing its age, it is still considered a trusy performer for top quality results that will beat many cameras hands down. The rugged body is not far off from the D700 with a few modifications. The camera feels good in the palms and is not as heavy as it may appear. The huge difference, no pun or Trump slight intended, is the HUGE 36 megapixel capture on a full-frame light sensor. But even this pales before some other current offerings. This means ALL the light comes in through the lens offering a great deal of versatility on shooting modes. Best of all the camera also has excellent high definition video that is stored in .MOV files that easier to edit than AVCHD. A fisheye lens on this camera is a genuine fisheye with dramatic distortion. Autofocus is sharp and quick. Swap lenses, play with unlimited manual control and go whole hog pro if you so choose. Images are crisp and artifact-free even at high ISO speeds. 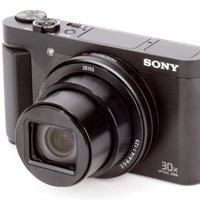 The camera uses two storage cards - a Compact Flash and an SDHC. Shoot images on one, video on the other or save back-up images on both. Pick from JPEG and RAW. Best of all you'll never run out of space as when one card is full the storage will spill over into the second card. The operating menu, once you get used to it, is reasonably intuitive and fairly similar to earlier models. The user manual is a whopping 446 pages long and this says it all. However, if you don't really need to go into technicalities, the camera is ready to point and shoot from the word go. The Hi-Def video is superb and you have several choices on size and output. Audio on video is good and there are options for external microphones. The built-in pop-up flash does a pretty decent job too so you may not need to carry around excessive equipment. 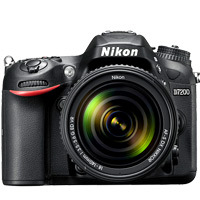 But if you need a top low light performer take a long hard look at the Nikon D7200 with WiFi connectivity, 24.2MP resolution, 6fps shooting and full HD 1080 video. There's a 3.2-inch LCD display and dual SD card slots. The camera has a decent buffer for burst shooting modes. Apart from excellent image quality, two factors that will appeal to many, are the long battery life, and the fast and accurate autofocus that make this model a joy to work with. The camera body is 'just' 675 grams in weight, making it almost 300 grams lighter than a D850. This could be deal maker for many. 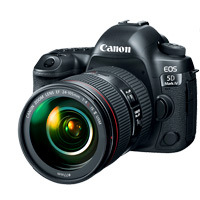 If you're plumping for the opposition, there's no better choice than the Canon EOS 5D Mark IV, which outpaces just about everyone except the Nikon D850, with its 30.4 megapixel sensor, 4k high definition video, 61-point AF for pretty precise focus in all situations, better sealing for all weather conditions and WiFi/GPS. The 3.2-inch touch screen is responsive even with big thumbs and the magnesium-alloy body sits well in the hands. Its form factor is a shade smaller than the Nikon and the body weighs in at 800 grams (a 100g lighter than the Nikon D850). This may be an advantage for some, especially when combined with a telephoto lens. With 7fps burst shooting the camera manages to calculate the scene and focus fast and accurately with balanced exposure with a hint of saturation (the hallmark of most Canons). It is good in all light situations and shows its class in low light environs. Noise-free pictures may be expected at ISO ranges of 400 and even 800. In some instances you can stretch to ISO 1200 with very little or no noticeable distortion. 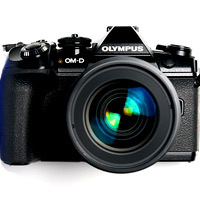 Presenting a radical leap in the micro four-thirds mirrorless camera range that puts all competitors in the shade – including those from its own versatile stable – the Olympus OM-D E-M1 is in a class of its own despite having been around since 2013. While a pretty reasonable performer for video if not outstanding like some of its peers, this Micro 4/3 camera offers still image performance that may almost equal some full-frame sensor cameras and serves up a versatile shooting range when matched with a good lens. This model does away with the earlier niggles of autofocus speed on the E-P1 and E-P2 series. While the E-P3 set the Pen standard the E-M5 (the precursor of the EM-1) became the camera of choice for many. However, professionals and enthusiasts - especially the design conscious - will plump for the Olympus Pen-F, which is lightweight, takes fabulous pictures, with a 20.3MP sensor and an 81-point focus. The camera handles extremely well with a retro design that will turn heads and a bright three-inch LCD display. The viewfinder is electronic though it does a tidy job in most light situations. The Canon G7X Mark II is an earlier 2016 offering that still punches above its class and is a popular enthusiast camera, not least for its tilt up and around LCD screen for selfies and versatile 24mm-100mm lens with a f/1.8 aperture. This lens enables the camera to work well indoors in enclosed spaces as well as outdoors. Park it on a tripod and use a Canon Bluetooth app to really set up a professional looking group photo. 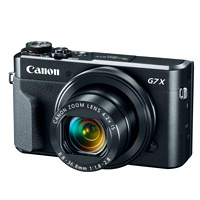 It has a classy and compact small form factor with a nice black leather and metal finish and is a tad larger than its diminutive 2017 sibling the Canon PowerShot G9X Mark II that fits in the pocket but has several downsides. The Canon G7X Mark II falls within what might be described as the premium end of the compact camera market. It has a touch screen (though no viewfinder, alas) and is WiFi enabled for millennials and metrosexuals who want connectivity in a pint-size packet. It is a responsive shooter with very good images, rich in tone. It also has high definition 60p video recording, which is simply the icing on the cake for this excellent travel camera. 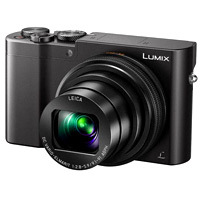 The Panasonic Lumix ZS100 / TZ100 is late 2016 compact camera that fits snugly into the smallest of pockets and offers an unlikely 10x zoom. This is optical zoom mind you, not digital, and the results are pretty amazing. The 1.0 inch sensor delivers decent to great image quality and low light results are pleasing. It shoots in JPEG or RAW modes and is still a standout compared with newer 2017 models. 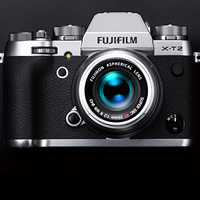 The mirrorless Fujifilm X-T2 is at first sight a very elegant piece of kit with a nice retro steel and faux-leather encasing (graphite silver model), a better grip (or just enough of a hint of one), and excellent AF. This is good news for fans as is the 4K video recording capability. Fujifilm can suply an optional 'power booster' grip that should be a handy addition. Expect a three inch LCD monitor, 24 megapixel captures, versatile storage with SD card slot (SDHC / SDXC) and more, up to a 14fps burst with the electronic shutter, USB 3.0 port, an ISO range of 200-12,800, and a viewfinder that gets you 100 percent coverage. There are a range of dials for various modes including panorama pictures. This mid-size marvel has a relatively fast 0.3 second start-up time and can shoot about 340 pictures on a single battery charge - average for this size of camera/battery. This is a great choice for an SLR-style camera. 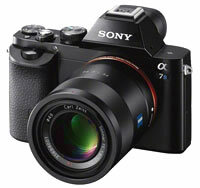 The SONY Alpha 7R (more simply the A7R) is a must-have almost compact mirrorless full-frame camera with a fabulous feature set and outstanding abilities on both still images and high definition video. With a far smaller footprint than its SLR rivals, the camera with its interchangeable lenses is still a tad big for the pocket and exercises some reassuring heft in the palms for a steady shot. This is the SONY flagship that will carry the Alpha brand (into which the NEX four-thirds series is being bundled). Expect good images, sharp and clear especially in the RAV format and excellent video features and end results. The usual competent panorama mode works well and users can enjoy a tilting LCD screen, a hi-res electronic viewfinder, and WiFi capability. The downside is minimal but the slow start-up times and slow autofocus can be a hindrance at times. Prefer RAW capture to Jpegs for the best results. 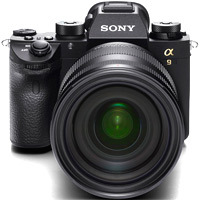 In July 2014, a yet another iteration arrived, in full frame - no less - in the form of the gun-metal black SONY A7s, with a 12 megapixel capture and a sensor with the incredible ability to shoot at up to ISO402,000. This is may seem absurd to an average photographer but SONY has pulled this one out of a hat. At 12MP you won't really be printing out in large glossy formats but anything up to A4 should present in spectacular fashion. It is this low light capture ability that separates this camera from most of the rest. Dispense with your flash because now you can shoot in near darkness and still achieve wonderful tonal variety and minimal noise. In practical terms it may not be useful to go beyond ISO102,000 but, when you look at the conventional ISO800 - at which point people are already getting cold feet - you'll see the power under the hood, and at your fingertips. The camera body, much like the 7r is somewhat compact, just over jacket pocket size, and heft all comes down to your lens of choice. Expect everything you saw in the SONY NEX-7 - with a larger body to accommodate a handgrip and an all-in size of 142 mm × 82 mm × 70 mm. Not pocket-friendly at 570 grams but certainly a professional and competent performer, the 2013 vintage Hasselblad Lunar offers 24 megapixel resolution using an 18-55mm lens, mini USB and mini HDMI ports, plenty of manual control functionality (not for novices), a three-inch LCD screen that pivots modestly (no tough screen control), and a battery capable of squeezing off around 400 shots. Shoot in JPEG or RAW using ISO ranges from 100 to 16,000 with impressive results. The hi-def AVCHD video is good in a 1920x1080 resolution. MPEG4 is an option too. You may be a Hassleblad nut but the camera from a company that whose equipment took the first shots of the Apollo 11 moon landing is astronomically priced and you would have to be a genuine nut to invest in one. For a straight copy of the NEX-7 albeit with some divine accessories and styling, US$7,000 is an absurd price tag and it would be criminal to stamp a recommendation on this product. The Sony Cyber-shot HX90V packs a wallop in a small form factor camera perfect for slipping into pockets unless you're in drainpipes or overly skinny jeans. This 18MP camera offers a zoom range of 24mm-720mm and video at 1080p. This works out to a 30x optical zoom that will have nature lovers as well as pick-faces-in-a-crowd enthusiasts orgasmic. Combine this with a 180-degree tilting screen and a weight of just 245g and you have a winner. An optical image stabiliser is useful for extended zooms and you might opt for a tripod to ensure greater stability. The amazing thing is this impressive zoom lens collapses perfectly into the lens well to make nary a dent in the pocket. Impressive. And good image results too. Downside? A maximum aperture of f/3.5. Still, it is a best in class. 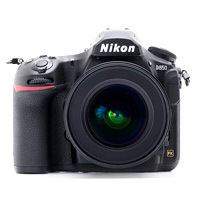 Another choice is the Nikon Coolpix A900 with a three-inch monitor, 4K movies, and a phenomenal 35x optical zoom with a miraculous 24mm-840mm lens. There's WiFi for moving pics around. The slim form factor is nice, the image quality less so - average would be a fair estimate. 2013-2015 digital cameras reviewCompact camerasSmartphones from spaceWho's zooming who?Gadgets for all occasionsDigital video camera reviews6 megapixels to go5 mega pixels in the pocketHold still a momentIt's playtime folksTrigger happy travelsGimme five, no make that sixMovies on the moveHow many pixels?A wearable digital camera?